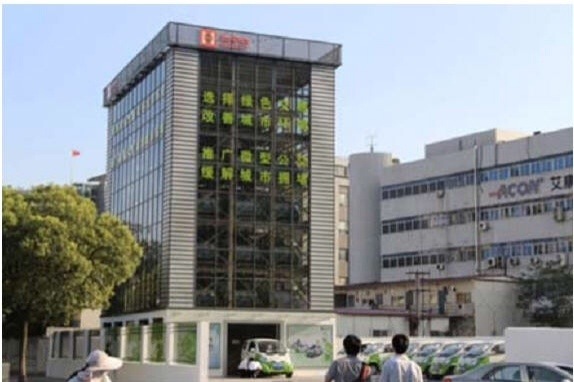 China’s Kandi Technologies is rolling out electric vehicles (EV) using a car sharing model similar to Zipcar. The firm has launched the project in Hangzhou and aims to increase the total number of EVs operating under the scheme to 100,000 over the next couple of years, in order to serve the city’s population of around 8.7m. Customers pay $3.25 per hour for the car, which can be accessed from automated garages being set up around the Hangzhou. According to Forbes, Kandi expects to have set up the first 50 garages by March. Each garage will reportedly hold anywhere from 30-300 electric cars, with 750 garages planned for Hangzhou. According to the report, Kandi hopes to expand the project to up to three more cities in 2014. The company is working with carmaker Geely to produce the EVs, which are expected to be a similar size to the Smart Car. Each vehicle will have a top speed of 50mph and an electric driving range of 75 miles. Forbes says Kandi also plans to offer drivers a “Long Lease”. This will last for 1-3 years costing $130-160 per month. Under this option, drivers will receive vehicle insurance, maintenance and battery swapping.